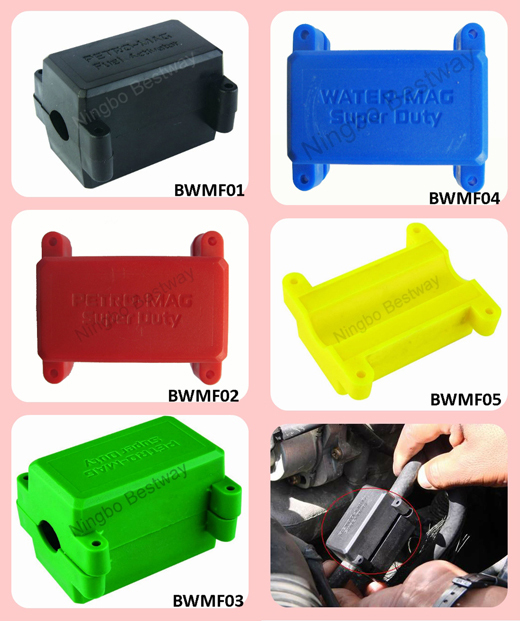 Magnet Fuel Saver, Magnets Fuel Saver, Manufacturer, Supplier-China Ningbo Bestway Magnet Co.,Ltd. It has fuel saving 5-20% . It's very effective in expensive fuel nowadays. When fuel is flowing to the fuel saver, it magnetises fuel molecule and makes the molecule temporarily into cathode. Fuel burning will be more efficient in engine while reducing carbon. The unit can improve your fuel mileage an average of 5-20%. The surface gauss of each pcs magnet could reach 4800Gauss.